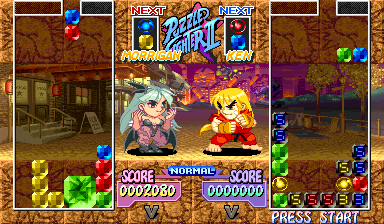 REVIEW: Super Puzzle Fighter 2 Turbo is the first ever fighting game/puzzle game hybrid, starring a cast of classic Capcom characters from the likes of Street Fighter and Darkstalkers. SPF2T has tons of personality and style to go around, a cute yet awesomely catchy soundtrack, and some incredibly addictive gameplay to boot! Some classic faces from Street Fighter & Darkstalkers! 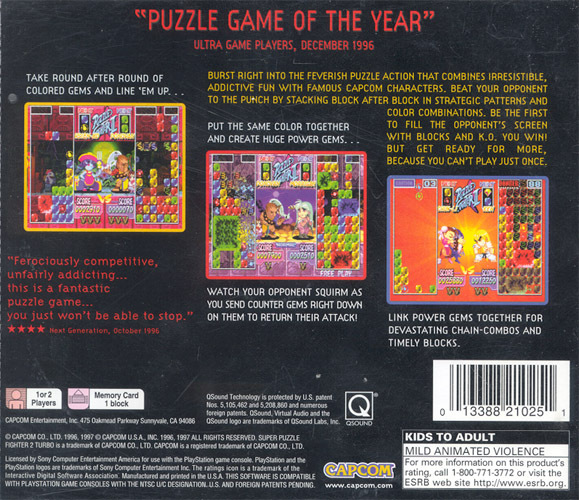 To sum up the gist of the gameplay, players try to line up gems of the same color (in any direction) tin an effort to build up square or rectangular blocks. There are 4 colors of gems and 4 colors of "crash gems" respectively. After a player builds up their lines or blocks, they can use the gem breaker of the same color to destroy the gems which will result in a combo. Depending on how crash blocks are set up, there's potential for setting up huge chain reactions for insane combo possibilities; which is of course the key to winning. As gems are destroyed, Counter Gems will drop into the opponent's playfield; and after a certain amount of turns (up to 5) will become normal gems. The higher the combo a player performs, the more counter blocks will fall onto their opponent's side. Skilled players can cleverly use the "countdown" blocks to their advantage, and counter their opponent with combos using the crash gems. The game will continue until one player's side is completely filled up with gems. 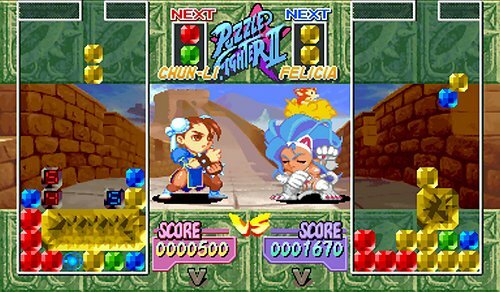 A fighting game themed puzzle game? Hell yea! During all of the mind games and puzzle madness going on, the characters on screen will accurately act out the battle as it progresses, throwing out trademark special moves back and forth! The 2D animation is done well, and some of the facial expressions and mannerisms are simply hilarious and brilliant! 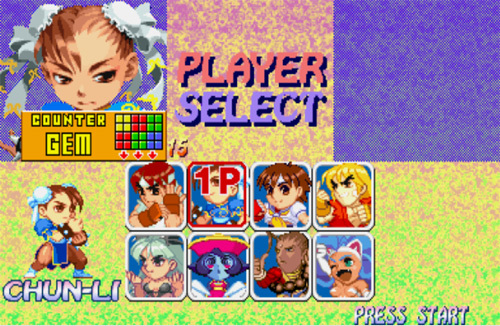 The characters actually effect the gameplay as well, because each character's counter blocks fall in a different order. Advanced players will know to form their blocks in a manner to counter their opponent's countdown blocks once they start falling. 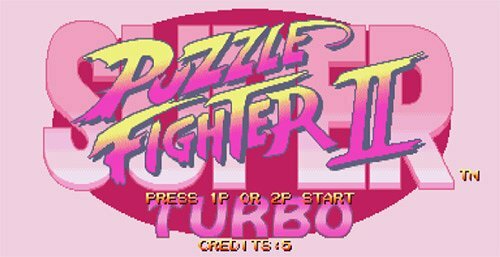 In late 2007, Capcom re-released Super Puzzle Fighter 2 Turbo for the PS3 & Xbox 360 as Super Puzzle Fighter 2 Turbo HD Remix! 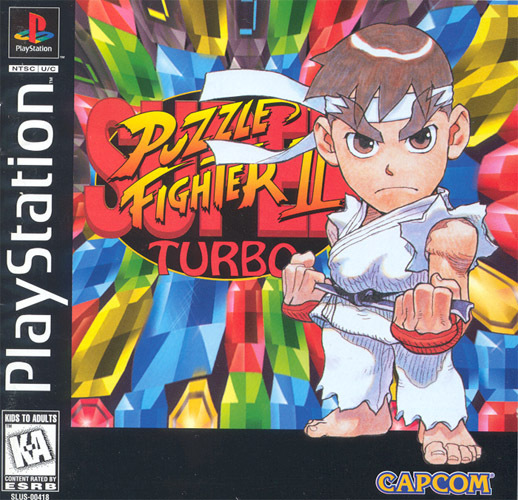 I'm not ashamed to say that Super Puzzle Fighter 2 Turbo is one of my all time favorite puzzle games... not only for the catchy art style, music, and characters; but the maddeningly addicting gameplay.